Ms. Kimei is a corporate and commercial lawyer and dispute resolution professional who specializes in providing corporate and commercial legal support, domestic and international arbitration, commercial mediation and dispute management. She established a boutique corporate & dispute resolution firm and is currently the CEO responsible for the management, operations, strategy and business development of the company. 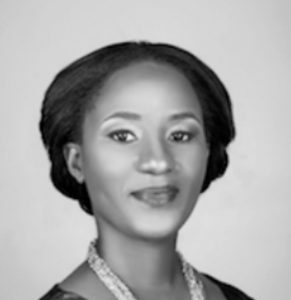 She currently serves as a member of the Governing Council of the Tanganyika Law Society, Vice Chair of the Tanzania Institute of Arbitrators and Board member for MMG Gold Limited. Madeline also served as the in-house counsel and company secretary to the boards of Stanbic Bank Tanzania (2010-2012) and National Bank of Commerce Ltd (2013-2015), guiding and advising the board on corporate governance related issues and legal matters pertaining to the corporation.